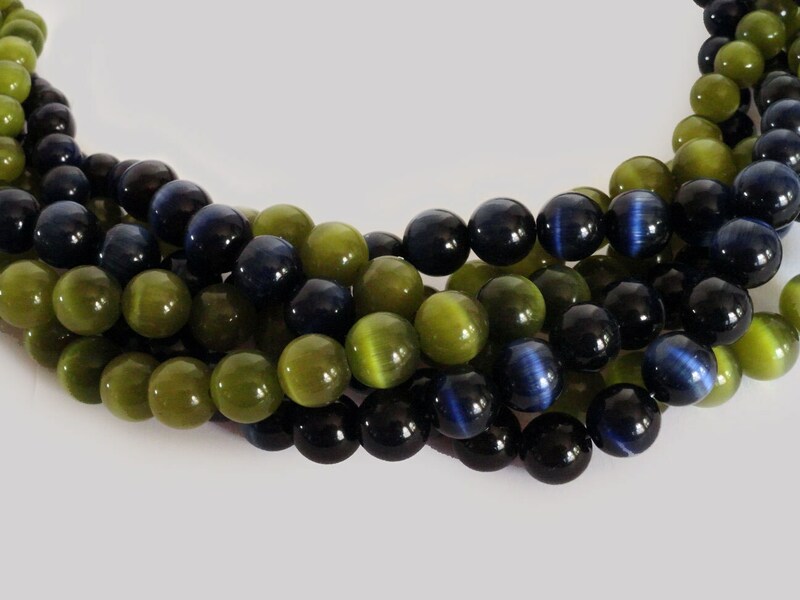 Cat’s Eye beads are glass beads with a fiber optic-like center which reflects light. 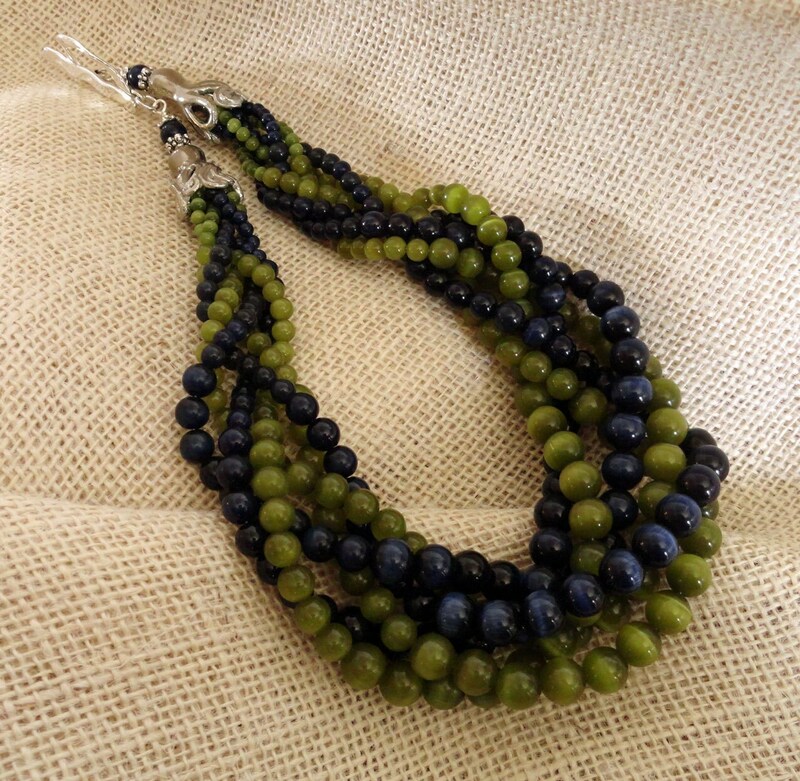 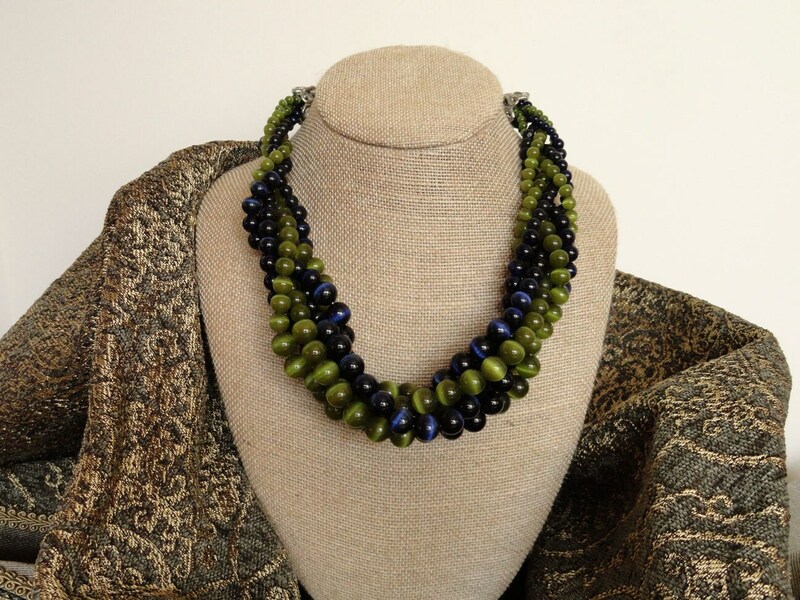 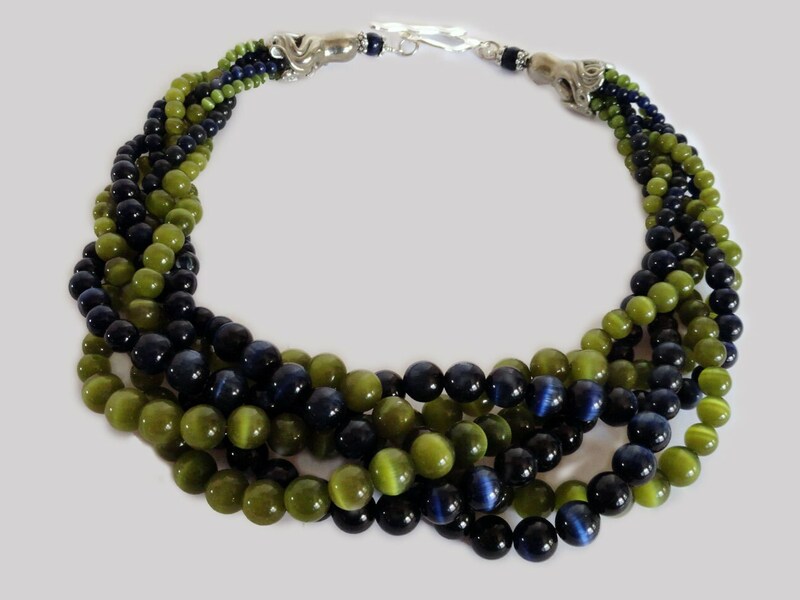 This design uses six strands of graduated sizes in midnight blue and olive green for a striking combination. 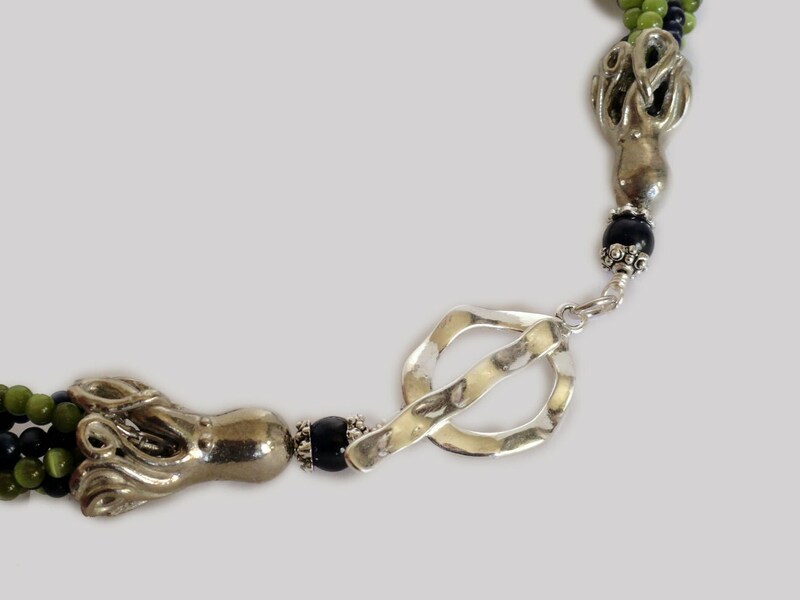 The weight is supported by sturdy, whimsical octopus shaped end caps and a pewter toggle clasp.